Our tool for safe and easy lifting of pipelines. 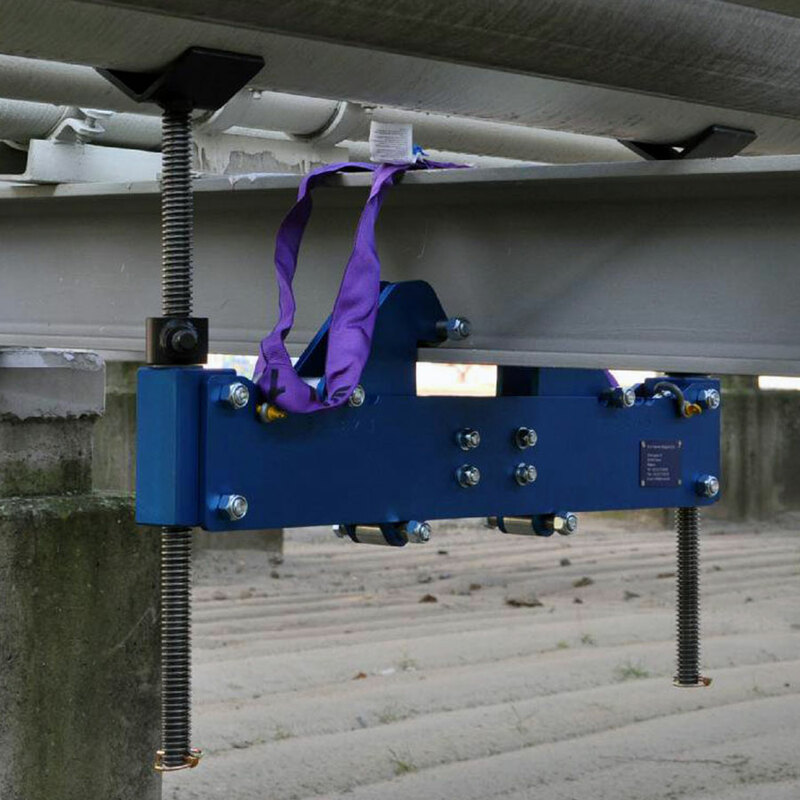 The Pipe Rack Jack® is a new, patented, revolutionary, simple and yet highly cost effective unit in the pipe lifting technology. Beelen and Rombouts developed this unit so expensive cranes and scaffolding become unnecessary. Lifting pipes in pipe racks by means of the PRJ is very easy and safe, just by mounting the PRJ on the bottom of the I-beam and pushing the pipe upwards. Inspection of pipes, replacing or refurbishing of supports can be done on a very cheap and easy way. The PRJ is indispensable for any job where time and money wants to be saved! Welcome to the age of innovation!